Have you ever considered how an image or images can impact your search engine optimization? Raven tools state that 78% of the total SEO issues, directly and indirectly, are related to the pictures. If you haven’t considered that before then you must start focusing on images of your site and should take search engine optimization quite seriously, no doubt images are a significant factor, and there are several aspects of an image to ensure that the picture is 100% SEO optimized. This content will help you to go through different parts of search engine optimization for pictures and will inform you of the manners in which you can optimize the images. The name of the file of the image you post is read by Google itself along with other search engines to make them appear in image search results. We can alter the names of the files quite easily, but there are many things we ignore while giving a name. Google says that the file name of the picture must comprise of the subject matter of the image. Indirectly you should try to name it by giving a good description of the subject. Hence this means that you should avoid uploading the images with any non-sensical file names and instead concentrate on providing a file name of the image by inserting keywords. Insert ten words of the title or topic of the picture. Eliminate small words like the and a. Attach more hyphens and dashes but not underscored between every word. A search engine like Google gives importance to the title tags and Alt tags of your pictures. So, the images which are inserted all according to the requirements of Google are ranked higher. According to the suggestions of Google, you should insert your Alt tag as informative as possible. On the other hand, the title of the picture must be short, concise, as well as catchy. The captions in your photos should not be ignored as these can have a direct influence on the visitors of your page which today is included in SEO plus impact the ranking of search. It is natural for the audience to read the captions as soon as they see an image. Therefore, if you are using a picture which is not only playing the role of a decoration piece on the webpage, then you must put an appealing caption on it. It will grab the attention of the viewers, and they might end up reading the entire content. This will enable you to improve your SEO as the time people spend on your website will be increased. There are several image tools available on the internet which can help you to improve your SEO. 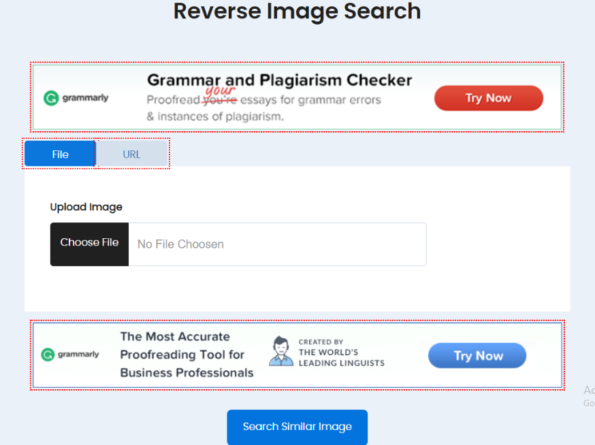 One such tool is a https://www.duplichecker.com/reverse-image-search.php. Using this tool, you can find out similar pictures for any given image. You can utilize to improve the search engine ranking of your website in different manners. For example, you can see the links of the web pages which are using your edited images on them. You then can contact them and ask them to provide the credits of the picture to you. It will not only increase the number of backlinks to your page but whosoever will visit their page there are chances they will click the link too. This, as a result, will increase your traffic. Similarly, you also can find out high-quality images to upload on your site. Images directly have an impact on the load time of your website. If your website’s load time is more than the average which mostly is 2-3 seconds, then Google will be less keen to show your site on SERPs. Similarly, the people who visit your website will leave soon if your site takes longer than 3 seconds. You can improve the speed of your page by using compressed images.